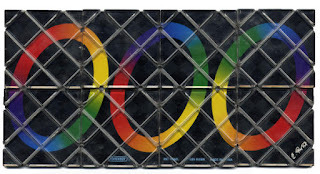 As a child of the 80's I tired in vain to solve the Rubik's Cube. Even peeling the stickers off and rearranging them was too hard for this guy. So why not add a couple of other Rubik's inventions to the mix to try and figure out. One year for Christmas I got the Rubik's Orb. The Orb is exactly what it sounds like, a puzzle ball with colored beads built into four different rings. 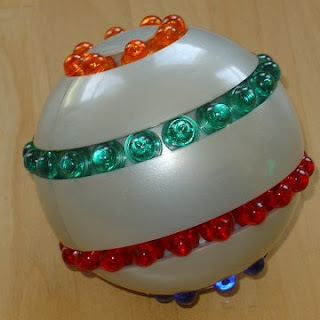 The sphere was split in two and you could move it around and line up the rings and then move the little beads around. The object was just like the cube in getting all the same colors lined up. It was much easier than the cube and after some time I was able to conquer it. The same could be said a few years later when Rubik's Magic made its debut. 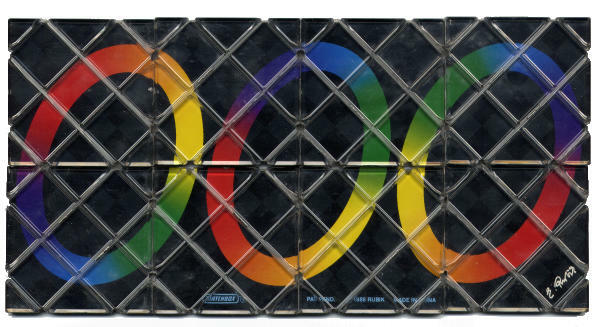 It consisted of 12 tiles with portions of rings on each. The object was to get the rings linked. Unlike the cube this too was a much easier task for me to solve. One of these days I'm going to take another crack at the cube and try to solve it.